darthmaz314 speculated in a past post entitled "Where Will Disney Build the Future Star Wars Land?" that Star Wars Land was an inevitability at one of the Disney Orlando parks, namely Hollywood Studios. It was speculated by many that Disney would make an announcement regarding the development of Star Wars Land or perhaps an Orlando Cars Land at the 2013 D23 Expo, which was held August 9-11 in Anaheim. Disney had officially denied that any such announcements would take place and in support of this claim, went as far as to remove the Disney Parks presentation from the slate of events at the 2013 D23 Expo. Still, speculation ran rampant that perhaps Disney was merely lowering expectations during the weeks leading up to D23, only to blow everyone away with huge development announcements regarding the Disney Parks. Well, in an age when no one’s word means anything, Disney held true to their word. There were no groundbreaking park expansion announcements at D23. But if you are in the entertainment business, one of the most crucial elements of success is generating interest and anticipation for your product. So what is better than making an announcement? Teasing your fan base. At the 2013 D23 convention, that is exactly what Disney did. 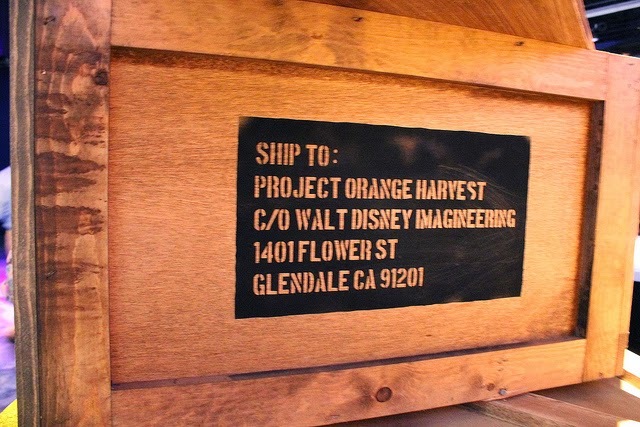 While there was no official announcement about a “land” dedicated solely to Star Wars, the Disney Park Pavilion at D23 hosted the “Journey Into Imagineering” immersive experience, where guests could enter a recreation of the Walt Disney Imagineering headquarters in Glendale, California for a peek into all things Imagineering. 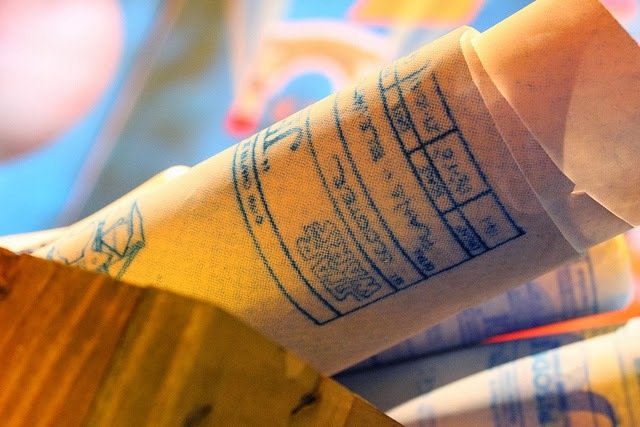 In addition to being able to view some elements (maps, models, design drawings) used in the planning of legendary Disney Park attractions, the Journey Into Imagineering experience provided D23 guests with a not so subtle confirmation of their suspicions…Disney has future Star Wars attractions in their plans. In true Disney fashion, the Imagineering team created a story around the teaser for the future Star Wars attractions. 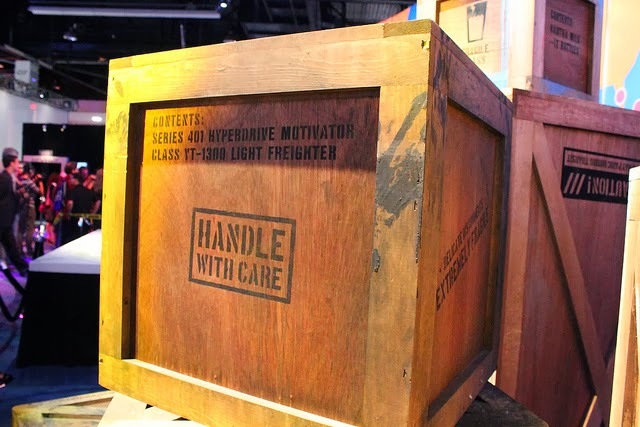 The story goes that the large collection of wooden crates on display at the D23 Expo were originally delivered to Disney Imagineering headquarters from a galaxy far, far away to be opened at a future date. 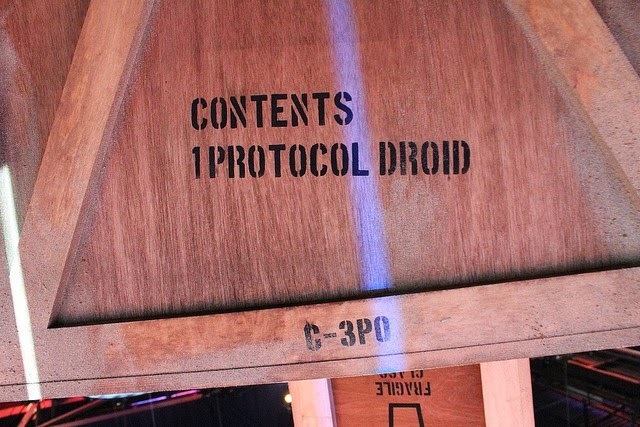 The crates contained various cryptic markings and messages, leaving no question that Star Wars projects are in the works, although not ready for official unveiling. 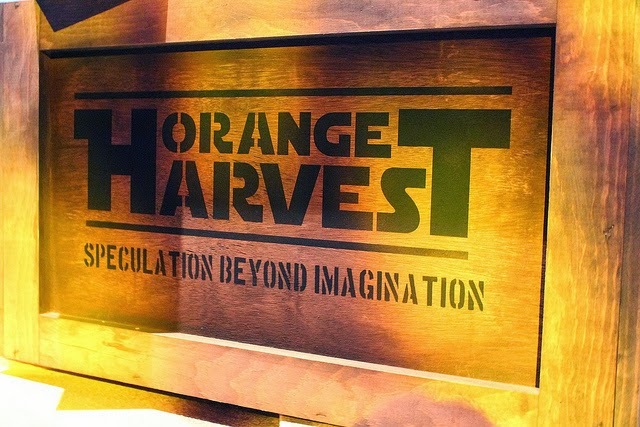 Featured prominently on several crates were the words “Project Orange Harvest: Speculation Beyond Imagination.” Orange Harvest being a not so veiled reference to the code name Blue Harvest, which was used to keep the filming of Return of the Jedi a secret back in the early 1980s. 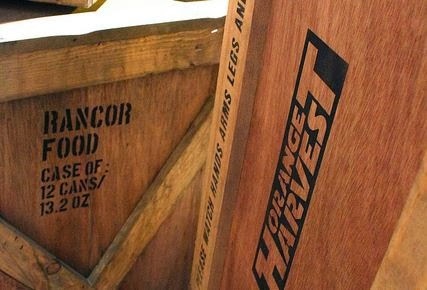 The writing on the various crates certainly leaves the door open for “speculation beyond imagination” by the Star Wars and Disney faithful. These hints may have a direct correlation to concepts being considered for attraction design or may just be references to various elements of the Star Wars universe placed there to get a chuckle out of the crowd. Here are some of the references from the crates which were on display. 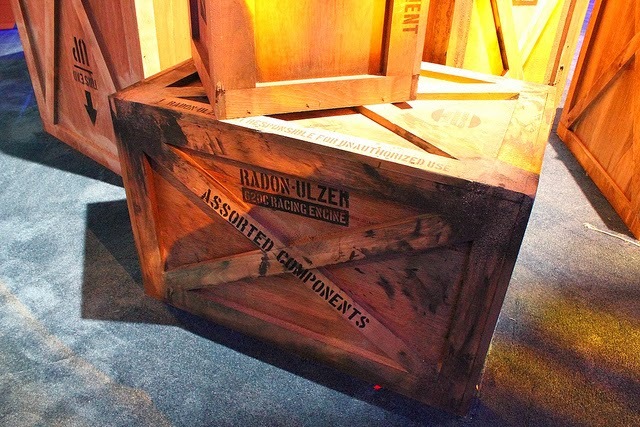 There was also an open crate with what appeared to be rolled-up design plans protruding from the top on which blueprints of a speeder-bike and the word “SCOOTER” could be read. Could this hint at a speeder bike thrill ride in the works? At this point, it is all speculation. However, you don't need the imagination of Lucas or Disney to figure out that now that the Mouse owns one of the most lucrative brands in the history of entertainment, they will use every opportunity to cash in on the Star Wars investment. Star Wars attractions are coming to the Disney Parks. The when, where, and what have yet to be revealed. But if you are a Star Wars and Disney fan and you are looking forward to more Star Wars attractions, in the words of the Emperor, "It is unavoidable. It is your destiny."